Evidence is piling up that Parkinson’s is just one of many favors herbicides are doling out to the American public A study investigating about 110 participants in central California found that individuals worked with or lived in areas with paraquat and who had a head injury were three times more likely to develop Parkinson’s disease. The study involved about 350 people with Parkinson’s and about 750 without, each of whom reported any previous head injuries in which they lost consciousness for over five minutes. State data was confided in to determine if each subject lived or worked within a third of a mile of an agricultural area employing paraquat. Patients with Parkinson’s were 12 percent likely to have suffered a head injury, while those without the disorder were 7 percent likely. Statistics on herbicide exposure, however, are more startling. Parkinson’s patients were 36 percent more likely to have been exposed to paraquat than those without the disorder. Herbicides, GMOs, and other manifestations of agribusiness arrogance and greed have been harming humans, animals, and the planet for decades. 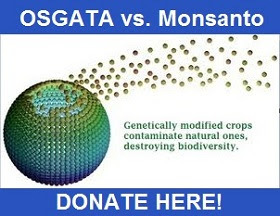 Roundup is responsible for human kidney cell degradation and death, while the very crops genetically designed to withstand Roundup have even been shown to contribute to mental illness and obesity by destroying gut flora. Worse, you don’t even have to work in a field to get a taste of agribusiness’ greed. As it turns out, you just have to turn on the faucet, since glyphosate regularly contaminates groundwater—your drinking water.